1880’s boutique accommodation owned and curated by Australian artist and stylist, LISA MADIGAN in Kangaroo Valley. The famous Berry Sourdough Café is an absolute must do! 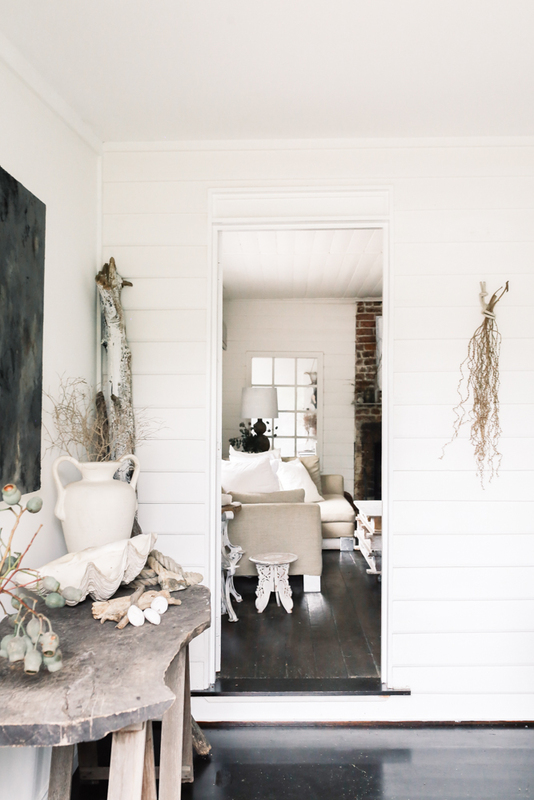 THE COTTAGE, created by Australian artist and stylist, LISA MADIGAN pays homage to its natural surroundings with a touch of luxury. Madigan has combined raw woods, oil paintings and textural pieces to create an environment that exudes warmth, charm and character. This 1880’s cottage is located in Kangaroo Valley, one of Australia’s hidden gems! It’s nestled between the Barrengarry and Cambewarra mountains and just a two hour drive Sydney. It has its own industrial style kitchen and a 10 seater harvest table which will come in handy if your entertaining guests. For your convenience you will be provided with a hamper of locally sourced breakfast supplies. The main lounge features boasts an old brick fireplace, soft white linens and works of art. The main bedroom is beautifully designed, white on white with plenty of natural lighting. The rustic yet charming bathroom has its very own deep freestanding bath complete with Aēsop amenities and robes. THE COTTAGE is a delight to the senses, a place for making time for yourself and others. 1 hour and 50 minute drive from Sydney Airport. 2 hour and 40 minute drive from Canberra Airport. Up to 7 days in advance bookings are transferable, all bookings are non refundable. THE COTTAGE kangaroo valley is equipped with one main beautiful white, light bedroom with IN BED LINEN & robes. A delighfully generous day bed, suitable to convert for extra guests or lounge on during the day with a good book + another sitting area that can also be converted to a comfortable single bed. The main lounge boasts a beautiful open fireplace & the entire home is dotted with unique & exceptional treasures. The harvest table seats 10 comfortably & there is also a fully equipped chefs kitchen to satisfy all of your foodie desires. Pantry staples are provided along with a beautiful hamper of breakfast supplies, locally sourced & lovingly tended to. Luxuriate in the deep bath & enjoy our range of Aesop ammenities, or perhaps kick back & relax with a movie, if youre up for adventure, there are plenty of local places to explore & were more than happy to show you the way.